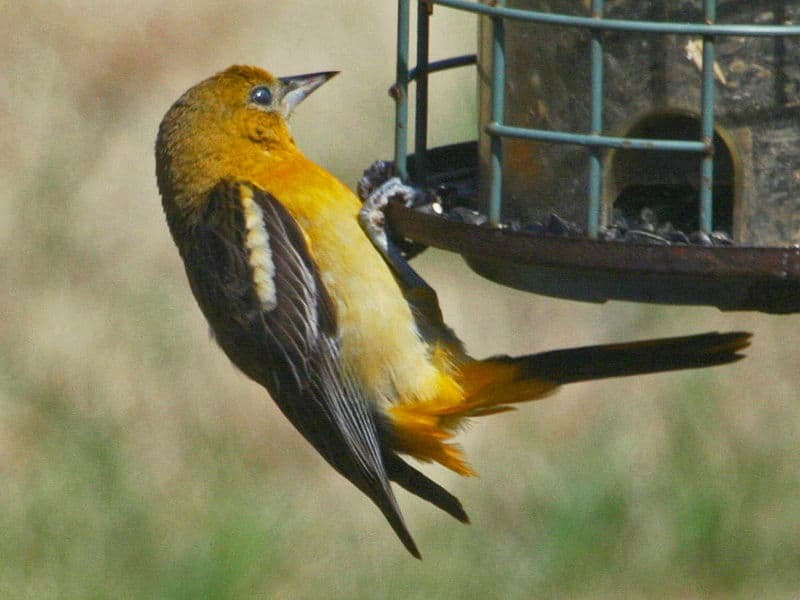 I was surprised to look out yesterday morning to see a Baltimore Oriole feeding at my finch feeder. I was able to shoot a few photos through the dirty window, I watched it for about 10 minutes, then it flew off, and hasn’t been seen again since. I believe it is a first year male bird. I have posted photos to the Ptbosightings group website, and on my Facebook page.